#G0660* – UKIP’s Nigel Farage has an article in The Sun..
UKIP has a good article in The Sun today over the by-line of Nigel Farage. It is such a pity that with some sound comment coming from UKIP and being published, at last – it is so damaged as a result of UKIP association with racism, anti judaism, anti homosexuality, extremism, bullying and the dishonest & corrupt use of a small army of low lifes and sock puppets willing to lie and defame from their cowardly stance. Without responsible behaviour UKIP does more harm than good to the wish of the majority of the British peoples to Leave-The-EU – without some gravitas and a clear exit & survival strategy UKIP can talk and publish all it likes but it will continue to bump along the bottom of British politics with an average vote when it can find a candidate of around 5-7% which is inadequate to be of any real significance in the struggle for Independence. The constant reports of defamatory lies, corruption, back stabbing & lack of vision & political nouse guarantees UKIP’s long term irrelevance. THE public is running out of patience with David Cameron over his dawdling on Europe – and UK Independence Party chief Nigel Farage is backing The Sun’s call for a referendum. A Sun on Sunday survey found 67 per cent want a vote on whether the UK stays in the European Union. Here, UKIP leader Mr Farage explains why that referendum cannot come soon enough. BACK in 1971, a couple of years before we joined the Common Market (as the EU was called then), The Who wrote that great song Won’t Get Fooled Again. But in the past 40 years we’ve been fooled time and time again. We were told our membership of Europe was about trade and opening up markets to British goods. Instead we got political interference, endless rules and regulations, our fish stocks plundered, and foreign criminals claiming the “right to a family life” in Britain. Sound like a free trade agreement to you? No, me neither. Now David Cameron is trying to do it again. His “cast-iron guarantee” on an EU referendum, made in the pages of The Sun, soon rusted. His next con trick will be telling you he needs a chance to renegotiate with Europe and make a deal. This newspaper is right to look at the possibility of recalibrating our relationship with Brussels but I am sceptical as to whether we would ever get the best deal for Britain. Any agreement needs to get the go-ahead from all the other countries in the EU. It would be like trying to have an amicable divorce with 26 ex-partners who all blame you for their problems — partners who cost you £50million a day, by the way. They are not going to send us home with a box of Belgian chocolates and a bottle of French red. At the very best, Mr Cameron will arrive back from Brussels, cheeks flushed with victory, telling us we’re just in the “single market” now and that means trade — nothing more, nothing less. The single market cripples British businesses. The single market is responsible for all those health and safety regulations and environmental directives that this newspaper has campaigned against for years. More than that, if we remain a part of it, we still won’t be able to strike trade deals with the rest of the world. While China, Brazil, India and the rest of the Commonwealth flourish, we will be handcuffed to the EU, with their sky-high unemployment rates, doomed single currency and economies set to stagnate for the next ten to 20 years. Every year, the EU sells us £52billion more in goods than we buy from them. We have more of a taste for German cars than they do for Scotch whisky, and it is nonsense to suggest they‘d refuse to sell us another Merc if we left the EU. Renegotiation is an option but not a solution. The British people deserve a true choice in a straight in/out referendum.Mr Cameron does not want you to have that poll, in case you don’t give him the answer he wants — which is to stay in the EU. But only after a NO vote could we get that free-trade deal. You know, the one we thought we’d originally signed up to. Sixty-two per cent of Sun readers do not trust the PM. This gives me hope. Do me a favour, David, and have a listen to that song by The Who, on iTunes, and don’t get fooled again. Christopher MONKTON in aclimate of UKIP’s making! 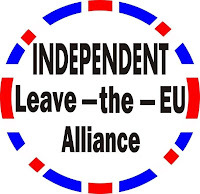 Derek Clark UKIP MEP Disbands Committee to cover his lies! Previous Previous post: Rain, Rain, Rain NOT Unusual but Infrequent!